In the 1530s William Tyndale translated the first fourteen books of the Old Testament into English from the original Hebrew, a translation that laid the foundation of all subsequent English bibles, including the celebrated Authorized Version (King James Bible) of 1611. Tyndale was the first to translate the Hebrew Bible into English--the first, in fact, to translate anything from Hebrew into English: At the time, that language was virtually unknown in England, and Tyndale had learned his excellent Hebrew while he was exiled to the Low Countries and Germany for political reasons. 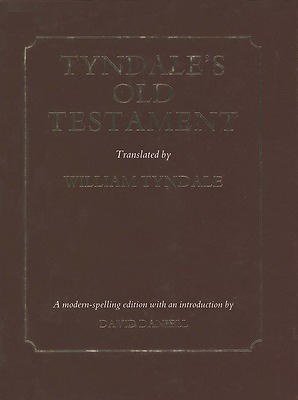 The publication of Tyndale's Old Testament, on top of his earlier and later translations of the New Testament, outraged the clerical establishment by giving the people access to the word of God in English. Tyndale was hunted down and subsequently burned at the stake for blasphemy. Tyndale translated and printed the Pentateuch (the first five books of the Old Testament) in 1530 as a pocket book, revising Genesis in 1534. He also translated and printed the Book of Jonah, probably in 1531. In addition, there is now little doubt that after translating the Pentateuch, Tyndale went on to translate the historical books of the Old Testament--Joshua to 2 Chronicles--for there is overwhelming evidence that those books, as they appeared in the 1537 "Matthew's" Bible, were Tyndale's work. The present volume contains the Pentateuch (unavailable now except in an out-of-print and unreliably edited Victorian facsimile) and the historical books, which have not been in print since 1551 and are of great importance both to scholars and to the general reader. The spelling in the texts has been modernized to show them as the modern productions they once were, and Tyndale's introductions and marginal notes are included. 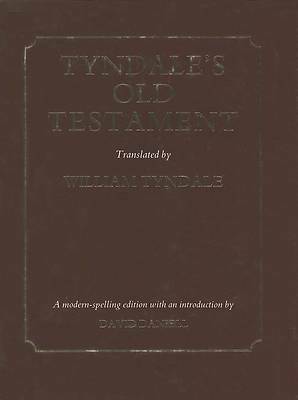 David Daniell's introduction explores Tyndale's astonishing achievement in single-handedly turning the Hebrew into English of great variety, force, and beauty.